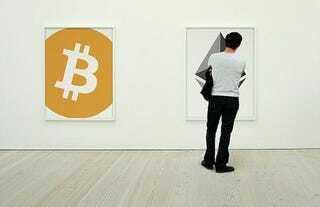 Ethereum, an altcoin developed by 22-year-old Russian-Canadian Vitalik Buterin, has become a common subject in many Bitcoin forums in the recent months. Every online Bitcoin chat room you join, every Bitcoin meetup you attend and even every Bitcoin news site you visit, you will notice that more and more space is being dedicated to discussing the new kid on the block- Ethereum. Indeed, some within and without the Bitcoin community have gone as far as to entertain the idea that the cryptocurrency is not only a worthy competitor to Bitcoin but that it will replace it with time because it appears to be more robust in its design and thus can accommodate more functionalities than Bitcoin. Now, before you voice your agreement or disagreement with this statement, it is only right that you acquaint yourself with the differences as well as the similarities between these two cryptocurrencies. It is important to note that in most cases when lines are drawn between Bitcoin and Ethereum, it is the blockchains they represent that are being compared and not really the bitcoin and ethers (the coins on Bitcoin and Ethereum). Also, both Bitcoin and Ethereum are decentralized and open source Blockchain projects. One obvious difference between the two is the way each came into being. While Bitcoin was designed and released by a mysterious Satoshi Nakamoto, Ethereum’s founder is known (Vitalik Buterin). Not to forget that Ethereum was crowd funded while the Bitcoin software was just released. Another detail that separates the two is the mode of mining. While the continued growth of the difficulty in mining has resulted in the adoption of more powerful ASICs rigs, the Ethereum protocol ensures that mining will always be done using GPU powered rigs. Therefore, centralization of the mining process is curtailed in the latter case. Still on mining; Ethereum does not have a place for pool mining. Every miner participates as an individual. But perhaps the most mentioned difference between Bitcoin and Ethereum is the capacity to build applications on top of the blockchains. Ethereum has been designed to make designing and implementation of applications especially smart contracts simpler. Bitcoin, on the other hand, is more rigid in this regard. Then there is the issue of governance. Bitcoin is decentralized in every aspect, including the decision-making mechanisms. As a matter of fact, the ongoing debate on the block size scaling could have gone differently if there was a clear governance structure. On the other hand, Ethereum has a more clear governance structure, with a foundation tasked with guiding the project. This, unlike the Bitcoin Foundation, is well embedded in the ecosystem. Of course, reading through the above raised points, you may get the feeling that Ethereum is a superior platform. That should not be the case. It is early in the day to conclude which of the two will have a more successful application in the future. Indeed, Bitcoin has its strengths too. For starters, it has a name recognition advantage over Ethereum. Also, the fact that it has no governance structure makes it a more organic platform of the two and attractive to those who are wary of any form of central control. The future should not be one where it is either one or the other. Same applications can run synergistically on both Ethereum and Bitcoin. Indeed, there is a place for both Bitcoin and Ethereum, which gives people more options.